Whatever your summer plans may be, chances are you’ll want to capture the moment with a photo. The new Snap Touch Digital Camera by Polaroid features a built-in printer so that your photos can be developed instantly. However, unlike most Polaroid cameras, this model features an LED digital display in back, so you can view your photos and videos instantly — and in HD quality. Then, select the pics you like and start printing. Using Polaroid’s new Zink Zero technology, the Snap Touch requires no ink or toner. All you have to do is simply load in the adhesive-backed paper. 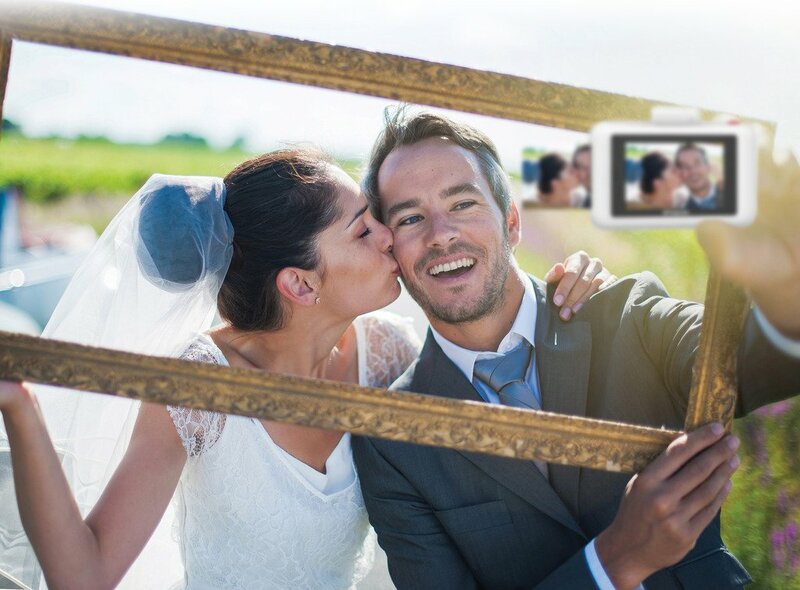 This camera is also smartphone compatible, so you can connect it to Apple and Android devices and integrate it with the printing app in order to incorporate text, borders, emojis and digital stickers. You can also pick your own camera design, as the Snap Touch comes in a variety of fun colors, all conveniently pocket-sized. Each camera kit also comes with a wrist strap, USB cord and a ten-pack of paper. The digital technology also allows you to choose to print photos instantly or save them for later. You’ll no longer have the disappointment of wasting Polaroid film because the picture came out overexposed, or simply didn’t turn out the way you wanted. There’s even an integrated selfie mirror, Photobooth setting, and automated timer. So this summer, get snapping — and printing.